Vlad Mamut is the CEO and Co-Founder of bowmo. He is leading bowmo’s rapid and growth from ideas to revenue. Vlad is driving innovation and execution across the key areas of product delivery, technology, cash flow, corporate development and investor management. 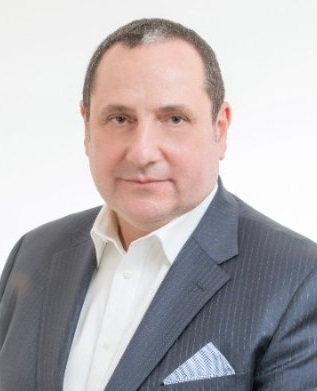 Vlad leverages 30+ years of professional experience and passion for technology, people, software design, cognitive computing and big data and a deep understanding of business. He has an outstanding record for delivery, execution and strategic leadership, and an open minded approach to solving everyday puzzles. His leadership style inspires cross-functional teams and categories owning, elevating and integrating their core competencies to create company-wide success. Depends on degree of separation. I strive to always be at the top of my intelligence and pushing that knowledge further and further, but I truly believe there is an immense pool of talent in the industry, and so there must be someone out there better than me and I want to find those people. It is my job as the leader of bowmo to find them, motivate them, and to really excite them about my business. I’m a really good dancer ( laughs) No -- but really, my courage. My courageousness is what makes me the best. I have the courage to say no. I have the courage to say, “ I’m wrong” -- the courage to say, “ you are wrong and we will not be doing it this way. “ You must have the courage to think and act objectively for the greater good. You must have the courage to put things into perspective and sacrifice that pride. As far as my business aspirations are concerned, I of course want bowmo to be super successful. I want bowmo to be a unicorn. 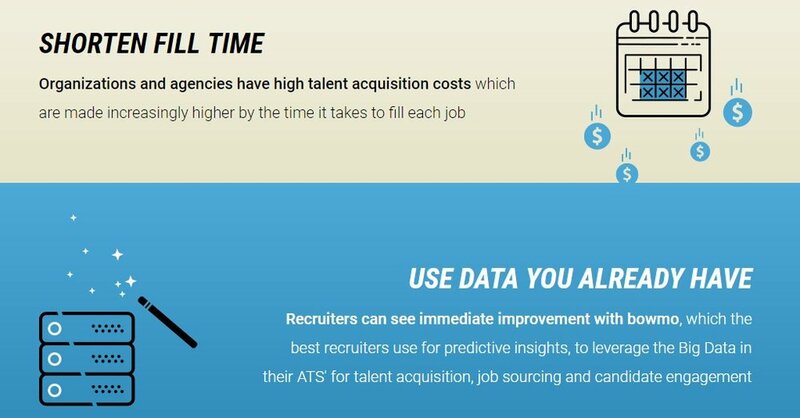 Our company’s potential has already been recognized as a valuable and vital tool that is delivering the evolution of recruiting. My aspiration is to achieve that potential to the fullest degree and beyond. In terms of financial, prospect, and client aspirations -- I want bowmo to succeed and to succeed fast, but I also don’t want bowmo’s success to be heavily weighed on the people who make bowmo successful. Planning fast vs. learning faster. I highly respect the people that I work with and I do not want bowmo’s success to lead to personal failures. We have to be balanced. This is a tough question. Personally, I believe my biggest success was recognizing and exercising my potential early on and moving from the Communist Regime in Russia to pursue opportunity in the United States. I believe that is my underlining lifetime achievement. There were many factors to consider in making this move, for I had a successful scientific career in the Soviet Union. My success was attributed to recognizing the shortcomings and reputations of that community. I had to fearlessly cut off all ties when coming here. Looking at Carvaggio’s painting of the Angel Gabriel helps in difficult times. Gabriel has a special meaning to me. He is my navigator and my avatar. Gabriel is an inspiration of recognizing and acting on being in the right place at the right time and executing the right things. The painting leads me to reflection on several personal situations or things that in a sense I feel an emotional attachment to over a particular occasion that may have been difficult in my life. I have many. Be true to yourself. Don’t do your best, do what’s necessary/required. Winston Churchill. I have art with him in my study at home. He had the courage to stand alone when everybody else was not recognizing dangers and implications. In business, it is really Elon Musk. I like his drive, his courage. I love Italy. If you ask me where I want to go tomorrow - Italy. I like all of it, south and the north and in between. It has flavors and colors and tastes and sites. I really like discovering good wines. Wines that talk to me. I love the process of discovery. My wife and I went to wide ranges of Italy and stopped at places and talked to people who would point us in the next direction off the beaten path. Of course if you get off the streets of Milan, everyone is a celebrity. It's the Italian way of doing things that it has a lot of contradictions. To me, I’m amazed at how much they were able to achieve even with these contradictions. They have incredible artists, movie producers, when you think about the war in the 60s. The paradox to me, with so much talent, why hasn’t Italy achieved much more. The parallel at bowmo, we are the best. Without the structure we’ll never get where we need to be. I really appreciate fine things -- fine objects. Not in terms of luxury, but in terms of design and metaphors. The time and thought that goes into these objects is fascinating. The idea of crafting something, with no immediate meaning, but then coming to realize its beauty and impact after looking, touching, playing with, experiencing it is truly something special. This is why I appreciate and gravitate towards Japanese netsuke. These figures are so organically original and hold a lot of layers of meaning -- especially the classical ones. The craftsmanship and philosophy behind each piece builds meaning that becomes more and more powerful over time. My passion now is bowmo. bowmo really consumed my life and my family. I eat, sleep, speak, and breathe bowmo. bowmo is everywhere. I’m not a spring chicken and so I really feel that I was very fortunate to come into a realization of this opportunity in this stage of my life. I know this is going to be big. I believe that I have enough knowledge and experience to bring bowmo forward into success, and that we are cultivating the right team and the right science behind the product.